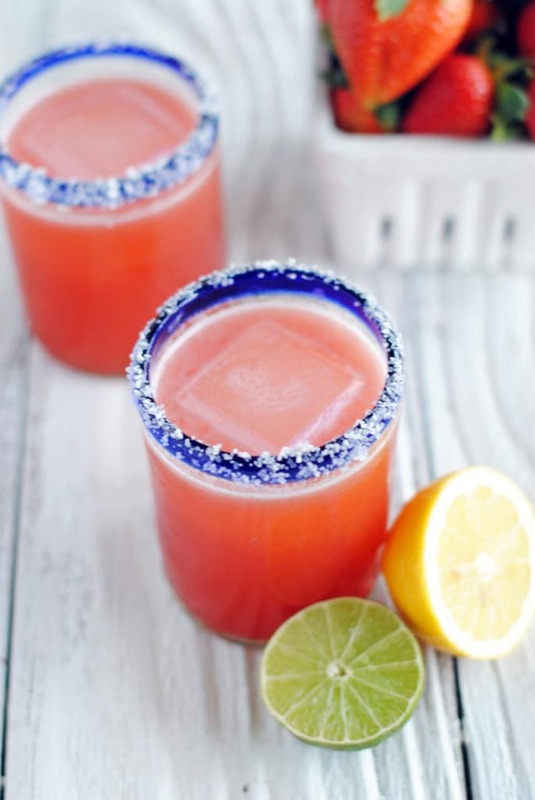 Happy National Margarita Day everyone. 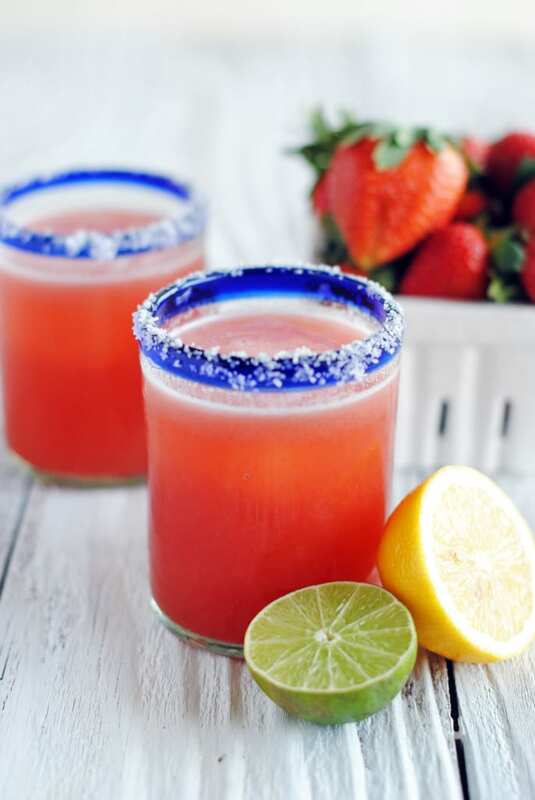 Would you liked to celebrate this genius food holiday with an ice cold margarita, but don’t want those highly processed margarita mixes you might typically get at your local restaurant? 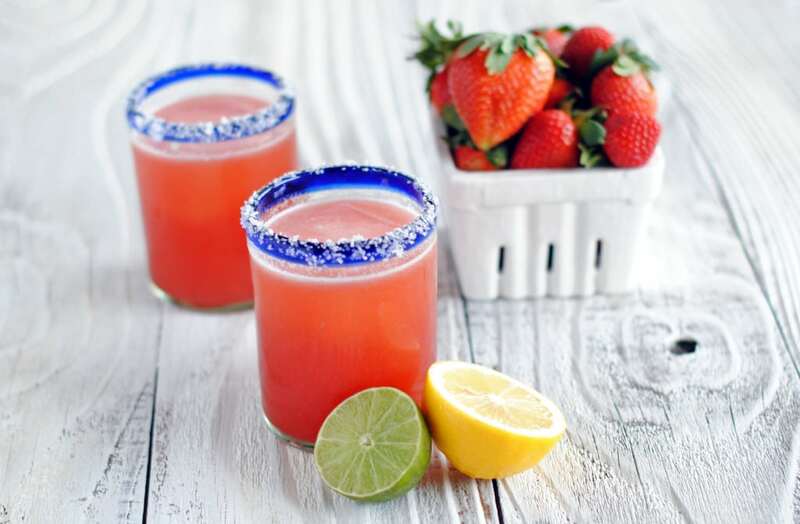 Well give this Fresh Strawberry Margarita a try. That’s right, fresh juices, real strawberries and real sugar. No margarita mix here. 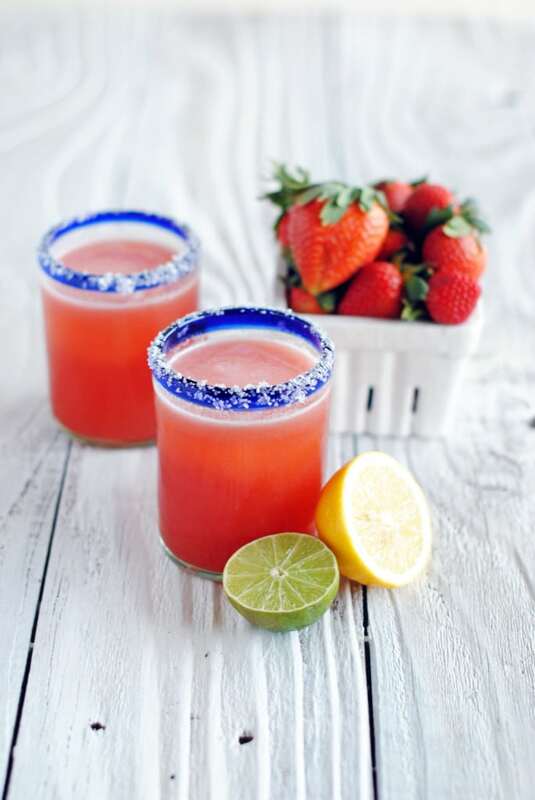 So call up 5 of your closest friends and share these amazing Fresh Strawberry Margaritas! 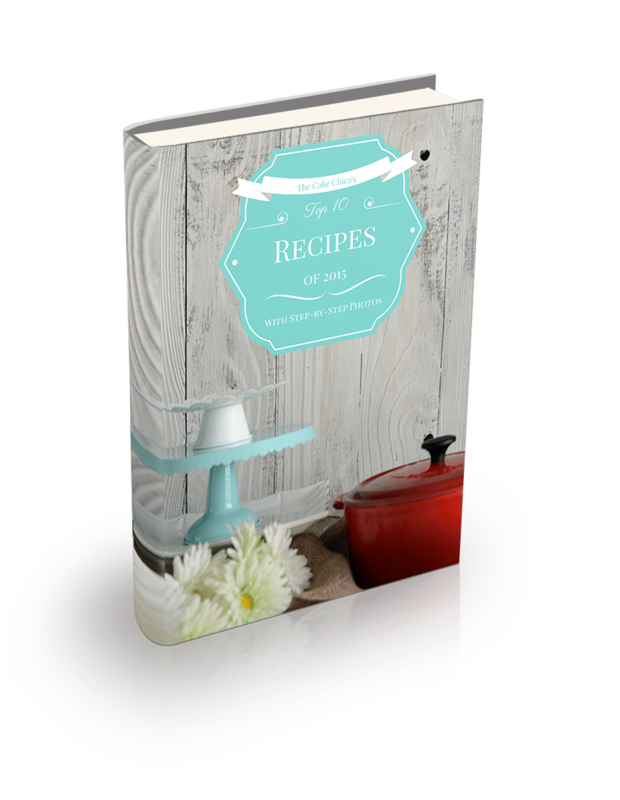 Disclaimer: Please note that some of the links in this post are affiliate links and I will earn a commission if you purchase through those links. 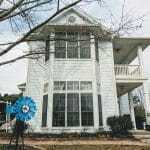 I have used all the products and recommend them because they are helpful and are companies I trust, not because of the commissions that I may earn from you using those products. Divide 1 cup ice among 6 cocktail glasses. Store glasses in the freezer until needed. 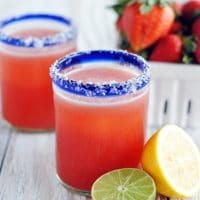 Process 1 cup strawberries, lime juice, lemon juice, sugar, and salt in a food processor or blender. Strain the mixture through a fine mesh sieve over a bowl. Press out as much juice as possible. Pour juice into a cocktail shaker or pitcher. Add tequila, triple sec, Chambord and remaining ice. Stir or shake until thoroughly combined. Pour into ice filled glasses and enjoy.